In my last post I had talked about going to jail when breaking the rules in email marketing, well stealing another persons work is right up there in the same thinking – it is called Plagiarism and it is WRONG! How to NOT plagiarize on social media? To Cite Someone’s Content on Facebook: Facebook makes it pretty easy to give credit when you’re sharing someone else’s content right from their own timeline — they have a ‘Share’ button ready and waiting for you! To Cite Someone’s Content on LinkedIn: Proper source attribution on LinkedIn is easy as pie. Just include the link to the content you’re citing in the update, and mention the person or company name. To Cite Someone’s Content on Google+: On Google+, it’s customary to include the name of the person or company whose content you’re citing in the text of your update, because you can then link to their Google+ profile, much like you would do on Facebook. Simply include a + or @ and their Google+ name — they’ll pre-populate just like they do on Facebook! To Cite Someone’s Content on Pinterest: Pinterest is all about content sharing, so it’s no wonder proper source attribution is basically built right into the platform with their “Repin” button. When you go to repin content, however, sometimes the original creator has included a URL, hashtag, or other indicator of authorship. Don’t edit that link out — it’s poor form! And marketers, beware. If you include your link in the “Description” section of your pin, you may get flagged as a spammer. After reading everything…do you think its worth Plagiarizing anything? I sincerely hope not! *This post was deliberately created using information that was found from sources who have talked/tweeted about plagiarizing and why you you should not do it and you will note that every single link is properly attributed, every image is properly pointing to the web site that I found it…this is how to not plagiarize – this is how to respect people and this is how show credibility to yourself! Tips to Stay out of the Spam Folder Jail! February 1, 2013 10:42 pm / 6 Comments on Tips to Stay out of the Spam Folder Jail! When was the last time you read the Can-Spam act? Most if not all email providers have spam filters which will penalze your IP /domain if it is seen that you are sending emails to bad email accounts. Clean you list regulary to avoid this issue. Spam filters will look at what you are saying and will have your mail go to the spam “jail” if you use risky words. Misleading Claims: Subject line stating that the recipient has won a prize, while the copy lists conditions that have to be met in order to claim it. The reality is that even with the tips I have provided here, you still may have a problem with emails being jailed in the spam folder, but being aware of what you are doing, sure cant hurt! Is Working from Home that easy? January 4, 2013 6:01 pm / 2 Comments on Is Working from Home that easy? As seen on the graph below,the best jobs in America are work at home jobs and that is something that I realized many years ago when developing AdlandPro as a way for ordinary people learn how to network and be able to garner success for themselves using the AdlandPro Community. What I find interesting is the fact that what is not mentioned in this news article by Robert Hill, is that for all the successful Work at Home jobs on line, there are many who would scam people, which is another reason why AdlandPro exists, to help people find and share jobs that are legal and ethical. Like any community, sometimes things slip past us, but our track record of finding out about those who would harm people (scammers) are soon shut down and sent packing, is one of my highest achievements and something that we make a high priority. While we all love the imagery of sitting in our sleep clothes making lots of money is indeed a dream for many people, the reality is that working at home means learning how to market, learning how to network and like any job it requires work. One of the advantages of being on a community such as Adlandpro, is that I (with the help of the members) have created tutorials to help people understand marketing and when you talk to the people who are active on Adland, you will soon see that working at home can be successful when following those people who are experienced and can take you by the hand to learn how to market and be successful. I would love to hear your thoughts about “working at home” What tips would you give people who are thinking of joining the ranks of working online? Times have sure changed since 1998 not only on the web, but the business of Adlandpro and of course myself. To give you an idea of how things were back then, here is a video of how things were done with computers and talk about slow surfing, this is a trip down memory lane! 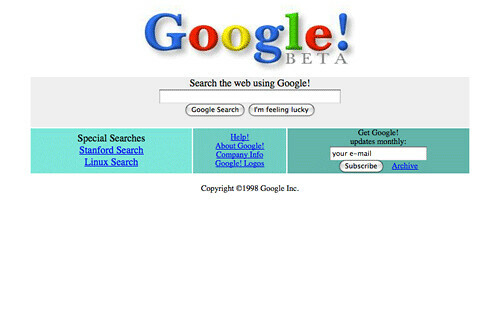 Back in 1998 Google was still in Beta and who would have thought that there would be such a thing as Facebook, Twitter or G+? 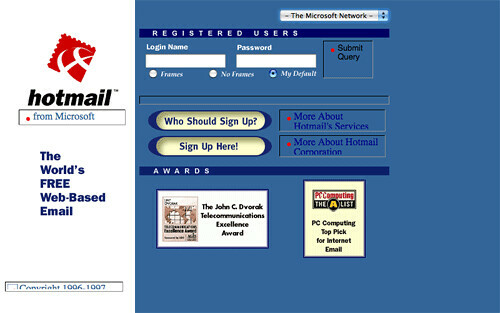 Hotmail was the email of choice back in 1998 and what a thrill it was for everyone to be able to get one of these free accounts. … and then there was AdlandPro! Adlands Classified site. There was an option to join an email list. big change in the appearance when you visit again. which includes having a moderator…. It makes a very interesting read by the way and I invite you to go through these wonderful letters because it will show you how things were and what a history it has been. Today Adlandpro is evolving and growing with the times and the needs of what people are wanting today. Our “small” community is growing and networking in a dynamic atmosphere, our “data base” is more sophisticated and has a far wider reach and yet the feeling of Adlandpro the community is one of family and that is something I am very very proud of. I welcome you to Adlandpro of today where we will continue to build to fit the needs of our members, where our members are important and where we will help you build your business with honesty and ethics. Many thanks to @hongkiat for helping me find these wonderful images. I am truly grateful!